He sent his mind in search of me that morning. I was on the Tube, half a minute out of Holland Park and in that muzzy not-awake-yet state that always bridged the time between my breakfast cup of coffee and the one that I’d have shortly at my desk. I nearly didn’t notice when his thoughts touched mine. It was a rare thing these days; rarer still that I would let him in, but my own thoughts were drifting and I knew that his were, too. In fact, from what I saw of where he was—the angle of the ceiling and the dimly shadowed walls—I guessed that he was likely still in bed, just waking up himself. I didn’t need to push him out. Already he was drawing back, apologizing. Sorry. Not a spoken word, but still I heard the faint regretful tone of his familiar voice. And then he wasn’t there. A man sat heavily beside me, squeezed me over on the seat, and with my senses feeling raw already, even that unwanted contact was too much. I stood, and braced myself against the bit of wall beside the nearest door and forced myself to balance till we came to Bond Street. When the doors slid open I slid safely back into the comfort of routine, my brisk steps keeping pace with everybody else as we became a texting, talking, moving mass that flowed together up and out and through the turnstiles and emerged onto the pavement, where we went our separate ways, heads down and purposeful. The morning was a lovely one for August. The oppressive sticky heat had given way to fresher air that promised warmth but didn’t threaten, and the sky was a pristine and perfect blue. I barely saw it. I was thinking of that shadowed room, a greyer light that spoke of clouds or maybe rain, a hand that had come lazily in view, to rub his eyes while he was waking. It had been his left hand, and there’d been no rings on it. At least, I didn’t think I’d seen a ring on it. I could feel the glances of the people walking closest to me, wondering if I were off my trolley, and I flushed a little, tucking my head well down as I came round the corner and into South Molton Street, a little pedestrian haven of upscale shops, cafés, and galleries. Everything always seemed quieter here, with the mad rush of Bond Street behind me. I carried on down past the graceful old buildings with beautiful doors to the one with the freshly white-painted facade where an expensive-looking brass plaque with fine lettering read: GALERIE ST.-CROIX, FINE RUSSIAN ARTEFACTS AND ART, THIRD FLOOR. The naming of the gallery had been one of Sebastian’s little vanities—in spite of his French surname he was English through and through, born of a line that likely traced its Hampshire roots back to the Norman conquest. But Sebastian knew his business, and to art dealers like him it was essential to create the proper image. He’d worked to transform me, to mentor me, teaching me how to get on the right side of the bid at an auction, and how to finesse our more difficult clients. I’d come a long way from the rather unworldly young woman I’d been when he’d taken me on. He had transformed the gallery building as well. We were on the third floor, in a space that today was as richly detailed as a penthouse. Even the lift was mirrored, which this morning didn’t thrill me. I was frowning as it opened to the elegant reception room where a flower-seller painted by Natalia Goncharova hung above the desk at which our previous receptionist had sat. She’d had to leave us unexpectedly, and I’d been interviewing this past week to fill the vacancy, while Sebastian and I shared out the extra duties. It was not an easy thing to hire a person who could suit Sebastian’s tastes, aesthetically. He wanted something more than simple competence, or class. He wanted someone who embodied what the Goncharova painting did—the painting he had hung above that desk, where it would be the first thing noticed by each customer who stepped into the gallery. He’d had offers for it. Several of our clients could afford to pay a million pounds with ease, but then Sebastian didn’t need the money. It didn’t only work with art. It wasn’t a coincidence that many of our loyal and best customers were women, and they looked upon Sebastian as they did that Goncharova flower-seller, as a prize that could be won, with time and effort. In fact, as I passed by his glass-walled office on the way down to my own, I saw he had a woman with him now. I would have left them to their business, but he saw me and beckoned me in, so I pushed the door open and joined them. Miss Margaret Ross was not what I’d expected, not our usual sort of client. For one thing she was plainly dressed, but dressed with so much care I knew she’d taken pains to look her best. And although I was usually quite good at guessing ages, I had trouble guessing hers. She had to be at least a decade older than myself, so nearing forty at the least, but while her clothing and the way she held herself suggested she might be still older, there was something in her quiet gaze that seemed distinctly youthful, even innocent. Sebastian smiled encouragement. “Peter the Great’s widow, yes. So, the 1720s, sometime. And it very well might have been.” Holding the carving as though it were priceless, he studied it. Looking again at her eyes, I decided their youthfulness came from the fact that she’d never been able to live her own life as a woman. She’d put her own life into limbo while caring for others. I felt for her. And I felt, too, for the mother who’d hoped that her daughter would sell their one prized family heirloom, and finally have money and comfort to live just a little. To travel. He passed it to me and I took it, not thinking, forgetting my mind had already been breached once this morning. It wasn’t until I was holding it, light in my hands, that I realized I’d made a mistake. I opened my eyes quickly, maybe a little too quickly, but to my relief no one seemed to have noticed. “I really don’t know,” I said, giving the small carved bird back to Sebastian. He looked at it with a commendable blend of admiration and regret. “I understand,” said Margaret Ross. Her tone was bleak. The twist of her faint smile held sympathy, as though she knew how that felt, to be there on the mantelpiece watching the bright world pass by, and I saw the small sag of defeat in her shoulders as, accepting Sebastian’s return of the carved bird, she started to carefully wrap it back up in its layers of yellowed, creased tissue. Anna. Something tingled warmly up my arm. My darling Anna . . . I saw the warm smile in my mind. Heard the voice. You were never a nobody. There was no way that he could have known. In all the time I’d worked for him I’d never told him anything about what I could do, and even if I’d told him, he’d have rubbished the idea. “Woo-woo stuff,” he would have called it, as he’d done the day our previous receptionist had told us she was visiting a psychic. “No,” she’d said, “she really sees things. It’s this gift she has—she holds a thing you’ve owned, see, like a necklace, or a ring, and she can tell you things about yourself. It’s called psychometry.” She’d said the term with confident authority. I’d offered him no argument, although I could have told him he was wrong. I could have told him I was psychic, and had been for as long as I remembered. Could have told him that I, too, saw detailed visions, if I concentrated on an object someone else had held. And sometimes, like today, I saw the visions even when I didn’t try, or concentrate, although that happened very, very rarely now. The flashes of unwanted visions had been more a feature of my childhood, and I had to close my eyes and truly focus now to use my “gift”—my curse, I would have called it. I had chosen not to use it now for years. Two years, to be exact. I’d chosen to be normal, and I meant to go on being normal, having the respect of those I worked with, not their nudges or their stares. So there was no good reason why, when I sat down at the computer in my office, I ignored the string of waiting emails and began an image search instead. I found three portraits, different in their poses and the sitter’s age, but in all three I recognized the woman easily because of her black hair, her heavy arching eyebrows, and her warm brown eyes. The same eyes that had smiled this morning in the brief flash of a vision I had viewed when I had held the wooden Firebird. There could be no mistaking her: the first Empress Catherine, the widow of Peter the Great. “Damn,” I whispered. And meant it. 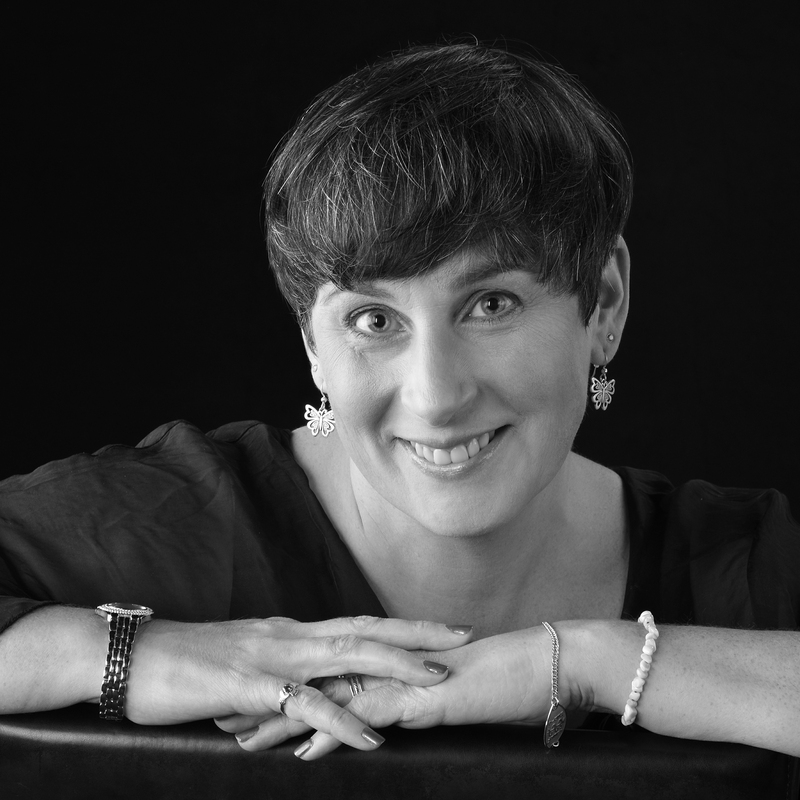 Susanna Kearsley is a New York Times, USA TODAY, and Globe and Mail bestselling author and former museum curator who loves restoring the lost voices of real people to the page, interweaving historical intrigue with modern suspense. Her books, published in translation in more than twenty countries, have won the Catherine Cookson Fiction Prize, RT Reviewers’ Choice Awards, a RITA Award, and National Readers’ Choice Awards, and have finaled for the UK’s Romantic Novel of the Year and the Crime Writers of Canada’s Arthur Ellis Award for Best Novel. She lives near Toronto. Visit her at SusannaKearsley.com or follow her on Twitter @SusannaKearsley. 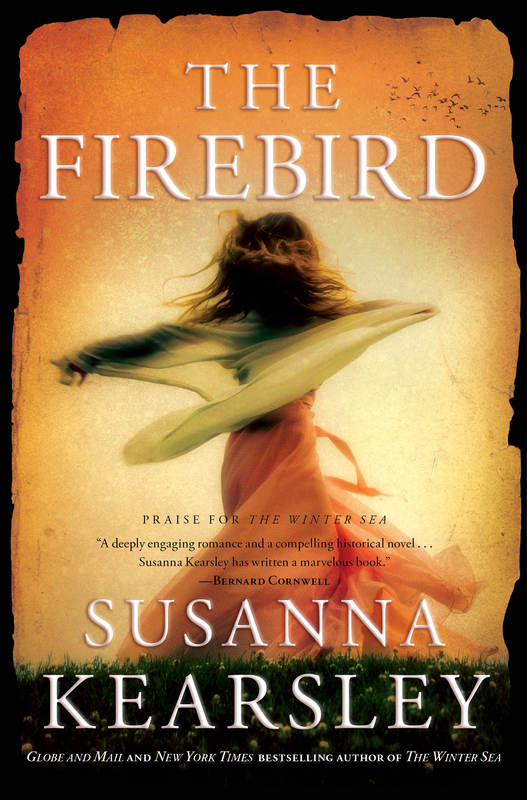 "Susanna Kearsley brings historical figures and events to life in this artfully crafted, exquisitely detailed tale, laced with a heady mix of intrigue and romance."